For my last road trip in the UAE, I only had two days off, so it had to be quick. 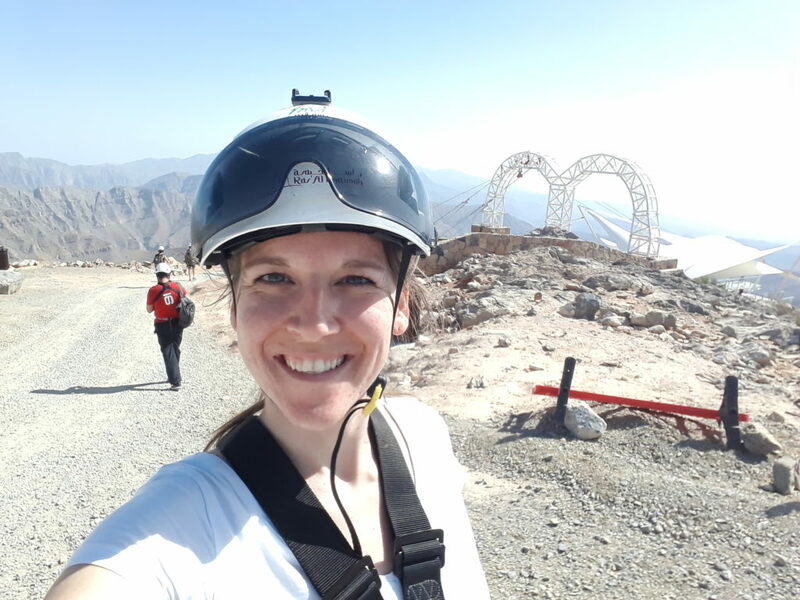 I decided to return to Jebel Jais since they had now opened the longest zip-line in the world, apparently certified by the Guinness World Records. It sounded pretty nice, so I rented a car again and headed North. My GPS was confused though and brought me back to Sha’am. Eventually, I realized I wasn’t going in the right direction, actually as soon as I left RAK I knew it, but didn’t trust my instincts. And of course, it was right. after calling the zipine to let them know it’d be quite late, I turned around and followed the actual way to the mountain. The Toroverde zipline is a neat experience. However, it felt like skydiving took away my adrenaline rush. I was quite relaxed for the entire process, especially compared to the people whose group I joined. 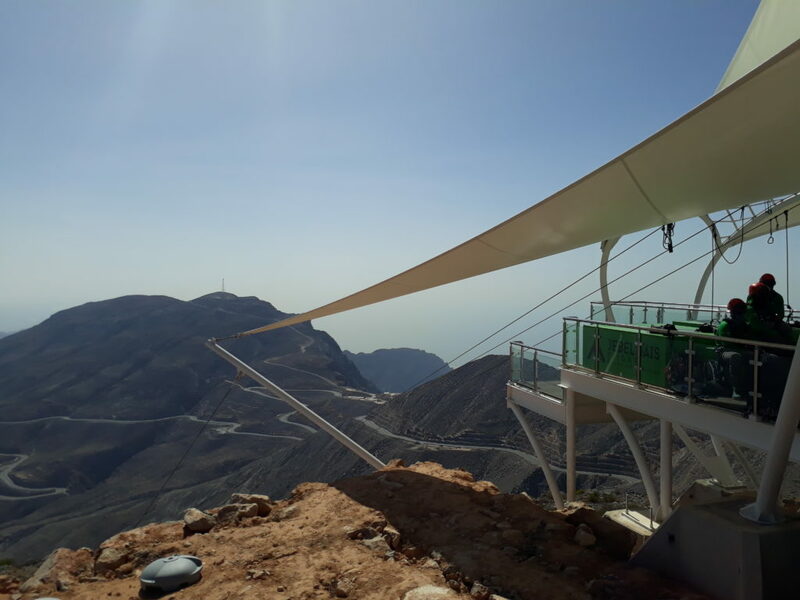 The zipline measures 2.83km, which means you have time to enjoy the ride. It goes fast, but like most things speed related, the heavier you are the faster you’ll go. They start up by gearing you up with the harness and a backpack to carry the pulleys you’ll need for the second half. You then hop on a minibus for a few minutes to reach the platform. They use superman style harnesses which makes you feel very secure. Not quite what I was hoping for! Getting onto the platform does give you a few butterflies in your stomach as you have to put your hands to the edge of the platform, and do a handstand-ish while they secure your harness. They then add some weights to ensure you reach the other end (they added about 70kg for me and I barely made it). It’s almost time. They crank up the lines and get your hands in your back. 3, 2, 1 and go! Almost. You go on for a few minutes and then reach the middle platform, they change your harness type, and now you are sitting to head back to were you started. It gets very windy of course, and it was still pretty cool to get to see the mountains from a different point of view. They are gorgeous. So rugged. I absolutely loved driving up and down the mountain road and I think it’s funny that the older I get the more willing I am to take risks in all aspects of my life. I drove to Hatta on my second day off and it was beautiful. I had been told the area was very different and quite beautiful, and it was true. 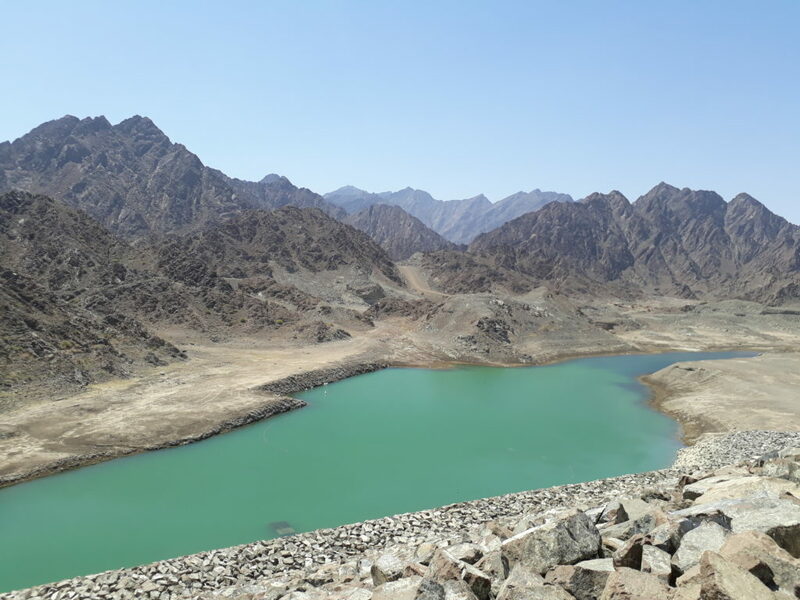 Hatta is located in the Hajar moutains. 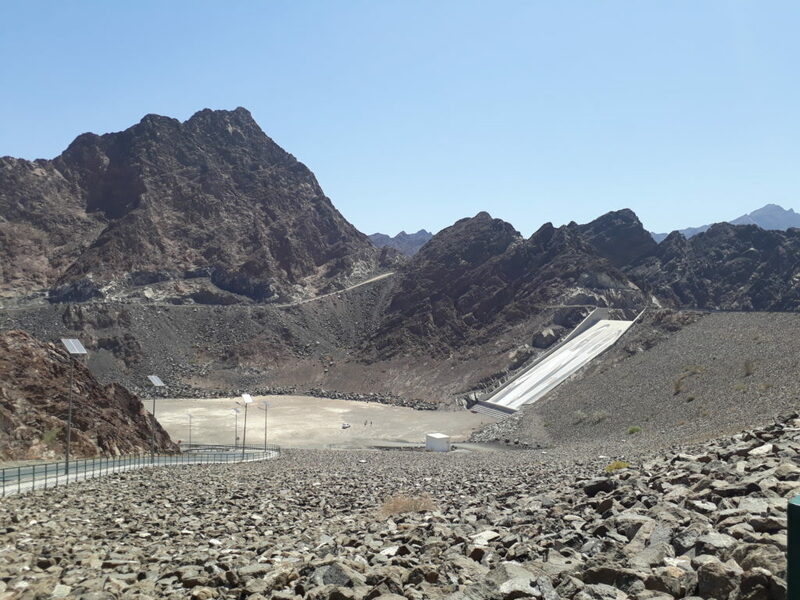 Hatta dam is very pretty. 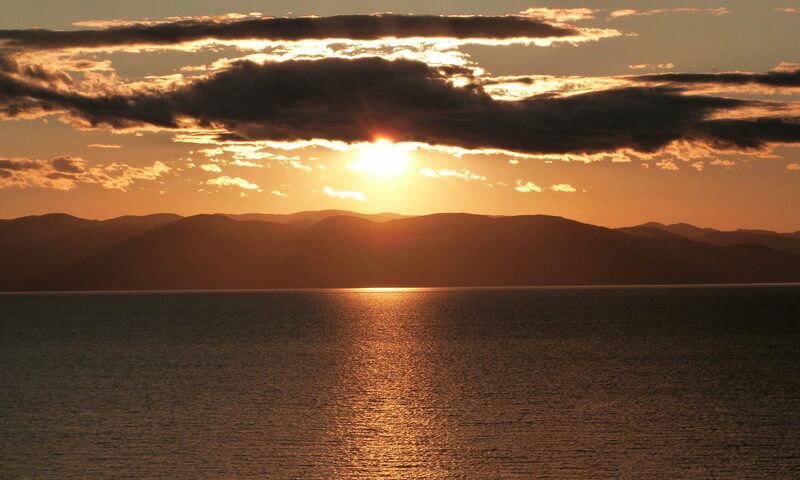 A big lake with rocky mountains around it. People can rent kayaks and when I was there a group set off and they were being quite loud. It really disturbed the peace and quiet I was looking for. 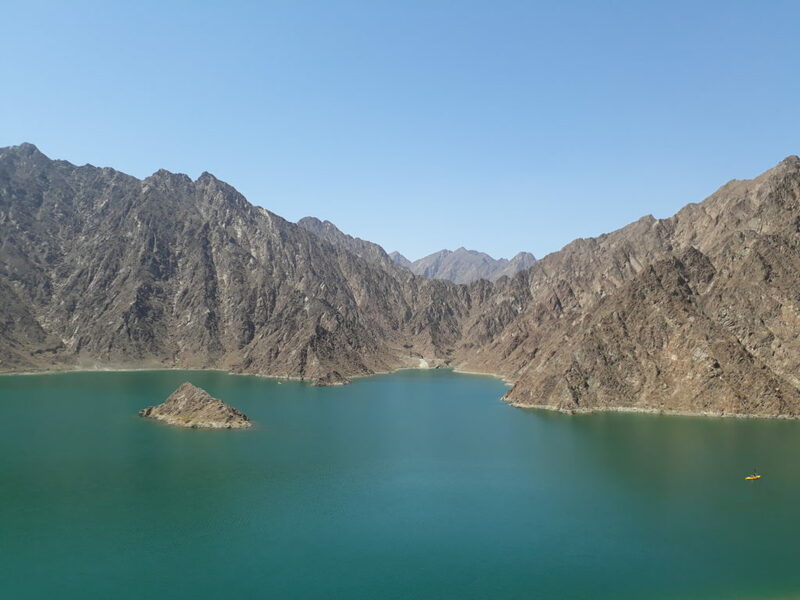 I had read about Hatta Lake being just on the other side of the mountain so I went there instead. It was a very similar scenery but I was alone to enjoy it. I really enjoyed being alone and having no other humans around. I think that’s because I worked and live with people so it easily became too much for me and I actually needed quiet time to recharge my batteries. 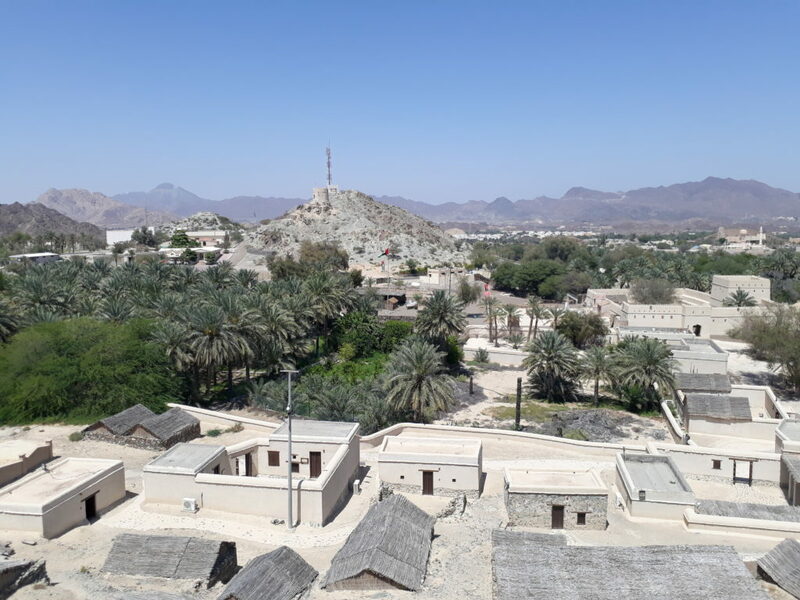 After the dam and the lake, I explored Hatta Fort and the heritage village, the oldest preserved heritage village in the UAE. It was interesting to walk around and be free to open the doors to discover the history of this place at my own pace. I found it also very interesting to see the houses and be able to compare them to what I had read in the Girl who fell to the Earth. 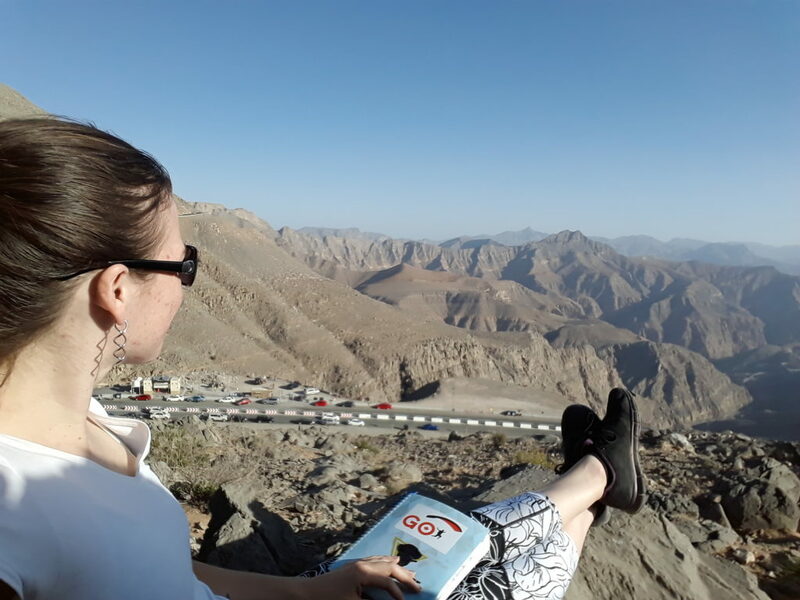 When I had decided I would leave Dubai, I knew I needed to return one last time to Jebel Jais. It’s quite funny how every single time I went there, I was originally supposed to go with the guy I was seeing or wanted to be seeing more of at that time. And every single time, I ended up going alone. I guess karma had different plans for me! This time around, I didn’t plan things too well. It wasn’t as pleasant of a road trip I thought it would be as I was stuck in traffic for most of it and when I got started on the road up the hill, I realized I didn’t have much fuel left. But at least when I finally got up there, there was barely anyone and if it wasn’t for the generator, it would have been really quiet! Watching the sunset was amazing and relaxing, once I found a quiet spot where some rocks were blocking the generator sound. Driving back was quite the experience though. I was quite zen until I got back into the car and remembered how very little fuel I had left when the fuel light went on. I drove down keeping an eye out for the curves, and the fuel gauge. Once I finally made it out of the mountain area, after what felt like an eternity, I went to get some fuel. But RAK still being under construction seemingly everywhere it was rather challenging. They mark roads as closed but you can still use them. Go figure. In the end I found some fuel and felt a lot better knowing I wouldn’t be stranded! 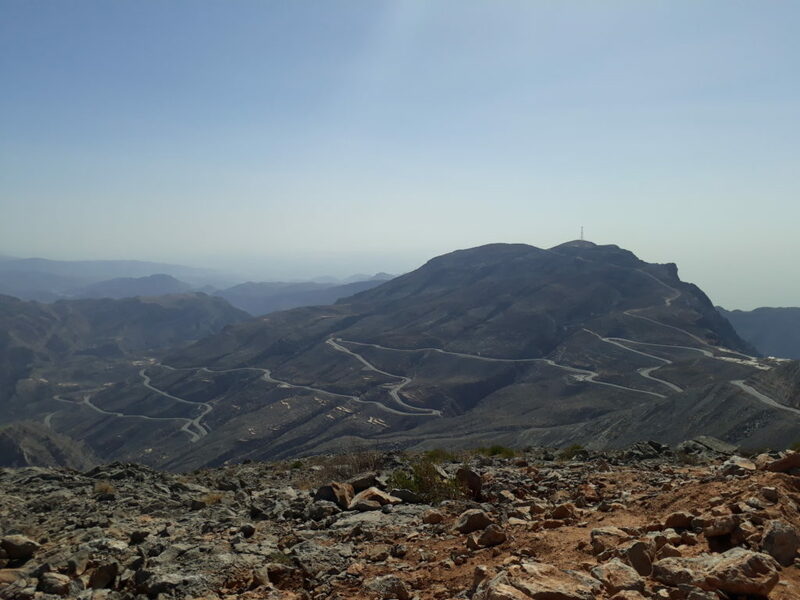 Even on my way to go to Jebel Jais, I had to go through a blocked road. I was rather dubious that I was supposed to head that way, but the guy working on the construction site gestured that it was indeed the way. This happened many times, actually every time I drove in that area. It’s rather challenging to find my way in Ras Al Khaimah, but the good thing is I’m not really stressed anymore when driving there, or anywhere for that matter! Nevertheless, even with all the new developments and the fact that it most likely will never be the quiet place it once was (hearing people scream for their lives as they zipline through is not what I call relaxing!) it was my last must needed nature retreat from the sometimes intense life in Dubai. Did you miss my other road trips? Part 3: Liwa, the biggest sand dunes of the UAE, and getting my rental car stuck in the sand.